Did you know that adding a video to your marketing strategy can increase click-through rates by 250%? Video testimonials are much more interesting and compelling, and they keep potential customers on your website longer. Storytelling with video maximizes engagement, prompts social sharing and motivates potential customers to talk about your products and services both online, and off. Animated videos allow business owners to take a complicated theory such as a high-tech product and break it down into bite-sized pieces. If a photo is worth a thousand words, a video is worth a million. Most businesses can benefit from some type of video marketing. We bring your business to life using a variety of video solutions. Video is an essential element of a powerful marketing strategy. 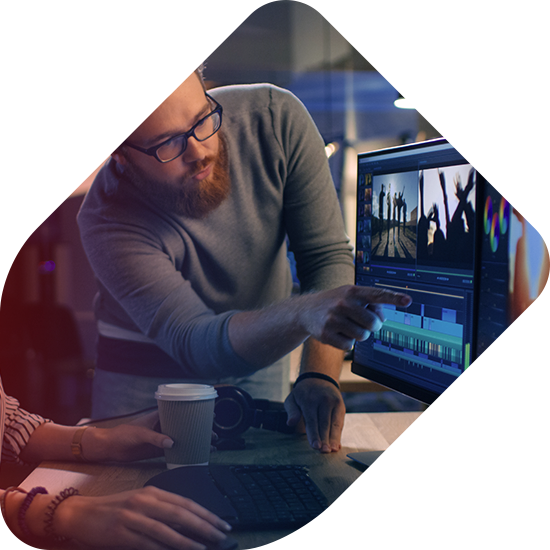 Done properly, integrating storytelling into an animated video gives prospective customers a sneak-peek of what it’s like to be one of your clients. The most memorable stories make your clientele the “star” of the video by putting them in the spotlight. Let the video marketing wizards at LocalMatterz provide your customer base with their very own 90 seconds of fame!